Topic: Type mismatch issue on teechart. Re: Type mismatch issue on teechart. There must be some difference somewhere. If you can't find it in your application you may try to extract the minimum parts from it to reproduce it, slowly converting it to the test I posted above. At some point you should be able to notice the difference. 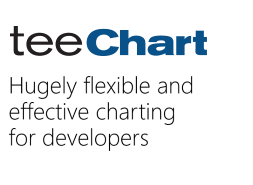 I'm afraid TeeChart isn't thread-safe and updating visual controls from outside the main thread is not advisable as can be read here. Don't hesitate to let us know if still find any problem or doubt with it. I'm glad to hear you successfully installed it! Don't hesitate to let us know if you find any problem with it. We've added this proposal to the sources, closing the bug #1745. Please, arrange a simple example project we can run as-is to reproduce the problem here.